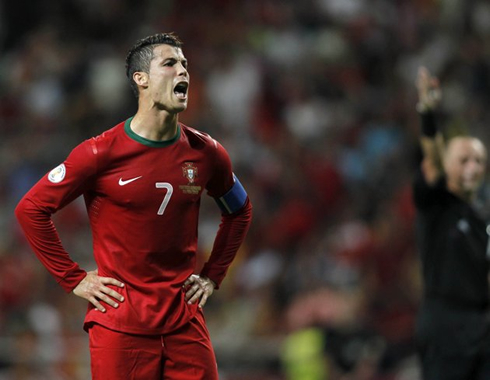 Portugal dominated Azerbaijan this Tuesday night in Braga, as they hosted and defeated the Balkans' side by 3-0. Unlike last Friday against Luxembourg, this time Cristiano Ronaldo didn't score but has surely led the team in plenty of dangerous attacks. Varela, Postiga and Bruno Alves scored the "Lusitanos" goals, which helped ensuring that Portugal would seal another win and tie with Russia on the top of Group F. The group winner will book a ticket for Brazil, for the FIFA 2014 World Cup. The Portuguese National Team beat Azerbaijan by 3-0 last night, in what has been a true attacking showdown display from Paulo Bento's men. The final score certainly doesn't mirror the huge differences shown on the pitch between the two teams, as Portugal created a large amount of goalscoring chances throughout the game, hitting the posts for five times! Silvestre Varela came off the bench on the 2nd half to score the opener and was followed by Hélder Postiga and Bruno Alves, who scored the second and third goals for the Portuguese National Team already close to the end. With 6 points after 2 games played, Portugal is now tied with Russia in the 1st place of Group F. The two teams will face each other in about 1 month and a Portuguese victory can turn out to be vital on the road for the FIFA's World Cup 2014, that will be held in Brazil. Similarly to last Friday's match, Portugal struggled to score an early goal against a team that they clearly dominated from the beginning to the end. The first-half has been a 1-way direction game, with the Portuguese Team pushing forward and creating chances, but for one reason or another, the ball simply didn't get in. Sometimes it was the Azerbaijan's goalkeeper making stunning saves, while others it was either the Portuguese players bad aim or the ball just hitting the post. 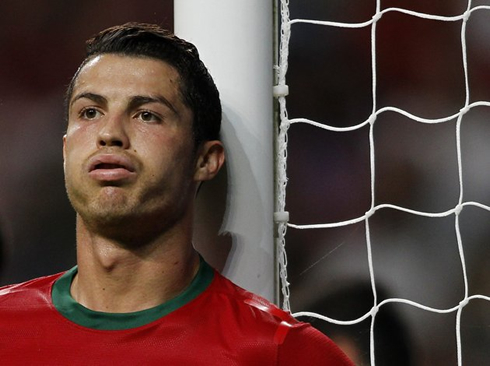 The 0-0 dragged until half-time, with a desperation feeling clearly starting to take over Cristiano Ronaldo and his teammates' faces. The second half would have a resembling story, with the exception that this time Portugal managed to score from a few of the many goalscoring opportunities that they have created. Around the 63th minute, Paulo Bento decided it was time to change something and he replaced Miguel Veloso for Silvestre Varela. Less than a minute later, the F.C. Porto winger showed up in the area to strike a rebound that had came from a previous shot by Cristiano Ronaldo, and with that, they had finally beat Agayev, making it 1-0 for Portugal. Portugal was playing very well and sending out the idea that more goals could come at any time, but the truth is that everyone had to wait for the final minutes of the game to be assured that this victory wouldn't slip away. With 85 minutes on the clock, Raúl Meireles had a good cross on the right, which Cristiano Ronaldo responded with an header on the far post. Hélder Postiga stretched to deflect the shot and successfully pushed the ball into the back of the net, extending the lead into a comfortable two goal advantange. Three minutes later, F.C. Porto's midfielder, João Moutinho, took a corner kick on the right attacking side and Bruno Alves masterfully jumped more than everyone else near him and headed a powerful strike, leaving absolutely no chances for Agayev to deal with it. There was not much time left to be played and Portugal celebrated their second win out of two games in this World Cup qualification stage, allowing them to share the 1st place of Group F with Russia, who also beat Israel this past Tuesday, with an impressive 0-4 win in Tel Aviv. The two strongest sides of this group are now expected to collide in October. Cristiano Ronaldo's next game will be for Real Madrid and against Sevilla. The Spanish League returns this weekend and the Merengues are expected to intensify their chase to Barcelona, as the gap is already at 5 points. This Saturday (15-09-2012), you can watch Sevilla vs Real Madrid, Getafe vs Barcelona, Manchester United vs Wigan and Sunderland vs Liverpool, all matches provided from our football live streams section.